Monsieur Flaneur ventures further north and discovers paradise found in the shape of a theatre nestled in the forêt tropicale .. Fantastique!! 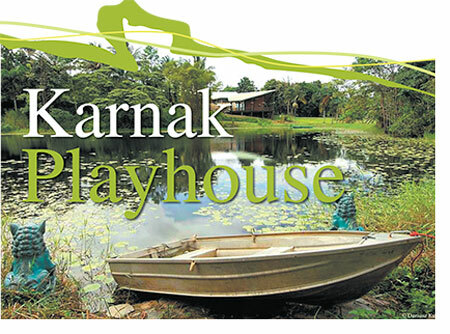 The visions and dreams of internationally acclaimed actress and director Diane Cilento and the late playwright Anthony Shaffer were realised when the Karnak Playhouse opened in 1992. 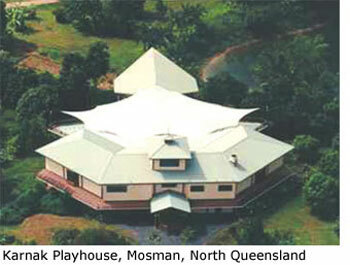 Finding the location for the spectacular amphitheatre with its Daintree National Park backdrop was not by chance and the spiritual ambience of the setting provides a unique theatre going experience. A fully equipped, acoustically superb amphitheatre, Karnak Playhouse is nestled behind a lake full of waterlilies outside Mosman, North Queensland. Since it's opening, Karnak has hosted many productions, shows and concerts. Mais mes amis ... it has not all been smooth sailing! Severe Cyclone Yasi caused major damage to infrastructure and foliage. However through a herculean effort by Madame Cilento, friends and volunteers, Karnak has been restored to its former beauty. To celebrate this re-opening of the theatre, Opera Australia's Oz Opera presented "La Traviata" on 5 August!